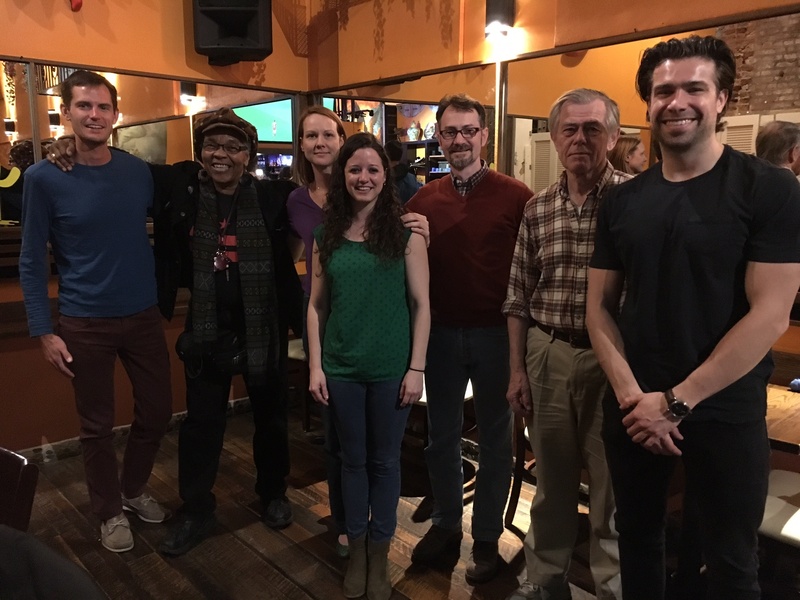 Columbia Heights Initiative Holds Meet & Greet with Area ANCs to Talk Main Streets | Park View, D.C.
« Third DC Budget Engagement Forum to be in Columbia Heights, February 27th! (Participants from Main Street/ANC meet & greet. From l. to r.: Brad Gudzinas (1B02), Sharon Farmer (1A07), Christine Miller (1A05), Brianne Dornbush (Columiba Heights Initiative), Kent Boese (1A08), Jack McKay (1D03), and Zach Rybarczyk (1A03)). On Saturday, February 25th, Advisory Neighborhood Commissioners from Columbia Heights, Park View, and Mount Pleasant were invited to meet with Brianne Dornbush of the Columbia Heights Initiative and discuss the new Columbia Heights/Mt. Pleasant Main Street that was recently awarded to the Initiative. The Main Street is still in its early stages of organizing, so much of the conversation centered on how to share information, how to have the local ANCs work with each other and the Main Street, and suggesting priorities on where the Main Street could focus its efforts in the coming year. One issue that was discussed was how to brand the main street, as Columbia Heights/Mt Pleasant Main Street is long. I suggested that a possible name could be the Mid-city Main Street as Columbia Heights and Mt. Pleasant are located within the Mid-city element of the Comprehensive Plan. Another issue that was discussed was how to bridge the gap between Columbia Heights and Mt. Pleasant. Whether on Park Rd or Irving Street, the two business areas of the Main Street do not abut. The gaps between the business areas don’t encourage pedestrians to continue from one area to the other unless one already has a specific purpose in mind. Here, I suggested that public art could be one way to unite the areas, much like Capitol Hill did with their Alphabet Animals project a couple years ago. Among the other issues that were mentioned was the relationship between the area Clean Team and the Main Street. Currently, they are two separate efforts that cover roughly the same area. In other main streets, the clean team is under the umbrella of the Main Street which helps with organization and ensures that both efforts are serving the same area. Several participants were of the opinion that the two should be combined in Columbia Heights/Mt. Pleasant too. It will be interesting to see how the newest Main Street effort evolves and what its first projects will be. Future opportunities are sure to be scheduled soon to continue the networking and collaboration that are necessary for a thriving neighborhood Main Street. This entry was posted on February 27, 2017 at 7:01 am and is filed under Community Involvement, Small Businesses. You can subscribe via RSS 2.0 feed to this post's comments.